Oddsmakers favor all four of the top seeds to represent their respective regions in the Final Four of the 2019 NCAA men's basketball tournament. The East Region owns the largest gap between the favorite and second-favorite teams. The Duke Blue Devils are -180 (bet $180 to win $100), with the Michigan State Spartans at +275. The Midwest Region has the closest race, as the North Carolina Tar Heels (+175) have the slimmest of edges on the Kentucky Wildcats (+180). The Blue Devils are a fairly heavy favorite to go all the way and win a national title in Minneapolis. Duke is +225 on OddsShark to be the last team standing, followed by the Virginia Cavaliers (+550) and the Gonzaga Bulldogs (+600). Zion Williamson answered any questions about the status of his previously injured knee by averaging 27 points and 10 rebounds in the ACC tournament as Duke reigned supreme in the conference. In Williamson's absence over the final five regular-season games, the Blue Devils looked a little vulnerable. Now that he's healthy, they're clearly the best team in the country again. 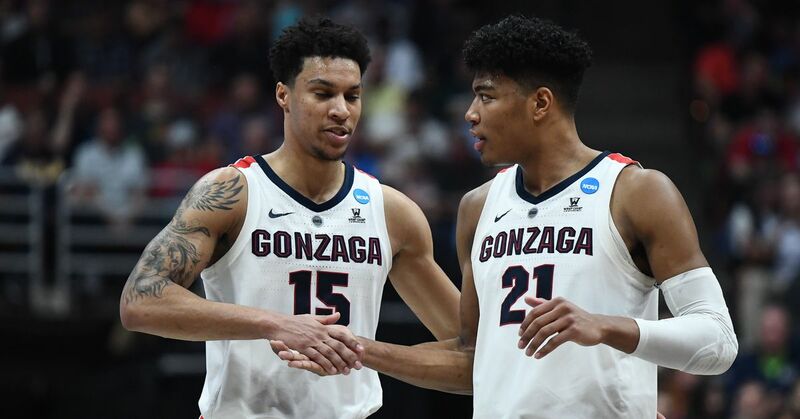 That Gonzaga (-110) is favored so much to win the West Region is a little surprising. The Bulldogs dropped the West Coast Conference tournament final to the Saint Mary's Gaels and lost their last two games to ranked opponents—the Tennessee Volunteers on Dec. 9 and North Carolina Tar Heels on Dec. 15. Gonzaga deservedly received a No. 1 seed but didn't get many favors from the selection committee. The Texas Tech Red Raiders (+600) are the No. 3 seed but rank ninth overall on KenPom.com, while the second-seeded Michigan Wolverines (+350) sit fifth. The Bulldogs might have a tricky second-round matchup as well should the Syracuse Orange use their zone defense to suffocate the Baylor Bears in the opening round. In terms of value plays, the Iowa State Cyclones (+1200) might be a smart bet. The Cyclones claimed the Big 12 tournament title, upsetting the Kansas State Wildcats and Kansas Jayhawks in their final two games. Iowa State ranks a respectable 36th in scoring margin (plus-8.9 points) and 30th in field-goal percentage (47.7 percent). The Cyclones headed into the Big 12 tournament having lost six of their previous eight games. Head coach Steve Prohm appears to have gotten things back on track just in time for the Big Dance.